Imagine… a lifetime’s supply of looking (and feeling) younger and more beautiful for less than the price of a month’s supply of high-end face cream … and at a tiny fraction of the cost of personal hypnosis sessions. Hello and welcome to Hypnotic Beauty! Do you believe in the “mind-body” connection? Scientists have proved, without question, that it is real. 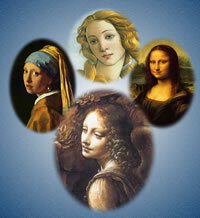 By subtly transforming the character of your emotional tone your complexion will transform in lovely, youthful, ways. Self-hypnosis can give your complexion a luster, your smile a radiance, and your eyes a sparkle, even better than cosmetics and beauty products. It uses the ancient secrets of yoga. Who am I and what is this about? Hello, I’m Wendy Packer. I’m a Registered Nurse in New Rochelle, New York. I am a recognized expert in caregiving and an author. 30 years of study and practice by two world-recognized authorities (me and a very accomplished colleague) have been distilled into potent 20-minute audios for you. Simply listening will make you look, and feel, younger and more beautiful. Guaranteed. You have the ability to make your dreams come true in so many ways… by incorporating a few minutes of daily self-hypnosis into your life. My friends kept asking me how I, a grandmother, suddenly started looking 20 years younger. How did I do it? I discovered, and began to practice, a few, forgotten, safe, powerful but easy self-hypnosis techniques. That’s how! And I am here today to share them with you. I will show you step-by-step. It’s very inexpensive and fully guaranteed for 30 days or your money cheerfully refunded. This material clearly, simply, and pleasurably shows you step by step the way to drink from your own private inner Fountain of Youth. Self-hypnosis can give your complexion a luster, your smile a radiance, and your eyes a sparkle, better than cosmetics and beauty products. 30 years of study and practice by two world-recognized authorities have been distilled into a potent 20 minute audio for you. By subtly transforming the character of your emotional tone your complexion, eyes and smile will transform in lovely, youthful, ways. Let me show you how to use it to grow younger looking (and feeling) and more beautiful! This will quickly, clearly, safely and pleasurably show you step by step the way to drink from your own private inner Fountain of Youth. These products are as good as a year’s personal hypnosis sessions costing $10,000 (or, read on, even over $500,000!) It’s an almost unbelievable value. But you can believe it. It works. No need for expensive treatments or cosmetic surgery. You have the ability to make your dreams come true in so many ways. So buy now: the guarantee means there is no risk at all! Once upon a time, before HypnoticBeauty.com was born, my future partner in this site was telling me about how he was looking at the photos, on the Web, of the 40-year reunion of his High School class. Shocked by something and intrigued by something else. The shock was how old and faded that most of his classmates looked. They looked like he remembered his grandparents looked when he was in High School. “How did my classmates get old? And he also was intrigued by how youthful and attractive a handful of them remained, into their 60s. Somehow they had managed to keep their youthful good looks. They were more mature, yes, but just as youthfully vital – and as, maybe even more, attractive – than he remembered them from 40 years ago. We had a theory why, we tested it, and we got results. I’m about to share the secret with you. But first, why should you believe me? Well, for starters see my un-retouched photo above. You will see that this grandma is, in fact, often mistaken for 20, and sometimes even 30, years younger than she is. It wasn’t always quite that way. And I don’t consider it bragging. Dizzy Dean once said, “It ain’t bragging if you can back it up.” And I can back it up! It’s not just me. It works for others too. I’m convinced that I’ve discovered a factor common to many of those who have managed to retain their youthful beauty. A factor you can choose to use. What if you can put this secret to use for your very own benefit? First, though, let me tell you about my own experience. Then, I’ll share some of the experiences of others that persuaded me my own youthfulness is not fluke. As an RN, I am a health care professional. And I love hypnosis, both giving and receiving it. Because typically a first rate hypnotist will charge $200 for an hour’s session, though, and because I am a frugal sort of person, last year I arranged to swap regular hypnotic sessions, by phone, with one of my most accomplished colleagues. This colleague is, professionally, an internationally award-winning author, lawyer, internationally published weekly columnist for the online edition of a very famous magazine. He is a former White House official and a well respected humanitarian advocate based in Washington, DC. While hypnosis is his avocation he’s recognized as one of the most accomplished hypnotists in the world. So, in setting up the sessions of swapping hypnosis we had come across some long-neglected hypnotic techniques that purported to make you look younger and more beautiful. We decided, for the fun of it, to refurbish them and use me as a guinea pig. So it began. After just a few weeks of delicious practice people around New Rochelle, NY, where I live, started making comments while I was walking my dog Charlie, while I was in the grocery store or dry cleaners (oh the glamorous life of a world-renowned hypnotist!). Acquaintances, friends, and even strangers would come up to me and comment on my growing youthful looks. Every year, over 1,000 hypnotists from all over the world descend on the professional convention of the oldest, largest, and most respected hypnotic professional organization, the National Guild. I’ve been on faculty there for many years. The people I see there mostly are acquaintances who see me, at most, just once a year. So … these people hadn’t seen me in a while. At the Convention, they stopped in the hallways so many times that I lost count. People asked me, relentlessly, what I was doing that was causing me to look so extraordinarily young. I’ve always been relatively youthful looking – any old hypnosis will help you look younger – but …this was dramatic. I had never received so many – and such avid – compliments in my life. Well, a pleasure shared is a pleasure doubled. I was glad to. I told them about the discovery of hypnotic techniques to make you look, and feel, younger and more beautiful. People marveled. They all wanted in on the secret! Now, you might think that you have to be, or be in front of, a highly trained professional hypnotist for this to work for you. Not so! This is something anybody can enjoy and benefit from. Worry that you can’t be hypnotized? At least 95% of people can. Hypnosis isn’t spooky or kooky as portrayed in the movies. Most people regularly go into hypnotic trance frequently … and don’t even know that that’s what it is. They become so absorbed in a TV show, video, or book, that their attention is totally absorbed, until someone or something “breaks the spell.” Maybe this has even happened to you. That’s hypnosis. Hypnosis is not an uncommon on uncanny experience. It’s a reverie. You can use this state of deep physical relaxation combined with heightened alertness to effortlessly bring forth your own deep mind powers – including the power to look (and feel) younger and more beautiful. These powers of the mind-body connection are just lying their latent in most people. They easily, safely, and deliciously, can be activated. So… Why do some people look old and some don’t? Sophia Loren, one of the most beautiful, eternally youthful, actresses, ever, once said: Beauty is how you feel inside, and it reflects in your eyes. It is not something physical. She discovered the secret long before we did. The great American philosopher Ralph Waldo Emerson once wrote: There is no beautifier of complexion, or form, or behavior, like the wish to scatter joy and not pain around us. The Times of India, writing about yoga (which shares much in common with self-hypnosis) writes: it also adds that glint to your face that many cosmetic procedures can’t. Sophia, Ralph Waldo and the Yogis are on to something. They were not talking about us. But … we believe we are all talking about the same phenomenon. The external radiance of inner beauty is all very well in theory. The real beauty of it is in making it practical rather than theoretical. And that’s what we set out to do. Is this practical for you? Is there a way that is so simple and enjoyable than anyone, including busy young career gals, mature soccer moms, and troublemaking grandmas (like me) – and even Men! – can do this, enjoy it, and reap the benefits? Hypnotic Beauty Through Serenity, Hypnotic Eyes, Hypnotic Smile, and Hypnotic Complexion. Together, these provide a perfectly delicious way to look as much as 20 Years younger. That’s (at least) a $10,000 value. In the full package you get: Hypnotic Smile, Hypnotic Complexion, Hypnotic Eyes for one low price. (Or you can get them individually.) Plus you get Hypnotic Beauty through Serenity. That includes the eBooklets and the MP3s for all packages 8 items. Millions — hundreds of millions — of women spend tens of billions of dollars a year on beauty products. HypnoticBeauty.com is not designed to replace workouts or yoga or Zumba, a healthy diet, or lipstick. It complements them! There’s a reason that hypnosis is called “a safe, complementary treatment” by the Mayo Clinic (with whom we are not affiliated and whose endorsement we do not imply). It complements – as well as compliments – your life! In my own experience the effects are swift and dramatic. Our eBooklets and audios are backed by a 30-day satisfaction guarantee: or your money cheerfully refunded! I’m excited by this discovery. It is working wonders for me. It is working wonders for an increasing number of others. I am excited to share it with you so you can get the benefits of youthfulness and beauty too. No need to let yourself become one of the faded flowers of the “aging boomers.” 60 is the new 40 – if you know how. 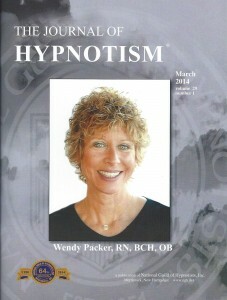 I’m Wendy Packer, a very young-looking grandmother, Registered Nurse, caregiver, and world-class hypnotist. I desire to help you make yourself look, and feel, younger and more beautiful too. Together let us grow younger looking (and feeling) and more beautiful. These products are as good as a year’s personal hypnosis sessions costing $10,000 (or, read on, even $500,000!) It’s a an almost unbelievable value. But you can believe it. This works. No need for expensive treatments or cosmetic surgery. This works. So buy now, the guarantee means there is no risk! Imagine… a lifetime’s supply of looking (and feeling) younger and more beautiful for such a low, bargain, price. A pleasure shared is a pleasure doubled. And make no mistake looking and feeling so much younger and more beautiful would be worth every penny! The audio files you will get work every bit as well as hiring me personally! So you could even think of this as getting $10,000, or $70,000 (a year) value ! Wowza! Youth and beauty are priceless. Here’s the bargain of a lifetime! With a 100% 30-day no-questions-asked absolute money back guarantee! I want to buy the bundle now! Come grow younger looking, and feeling, with me. I’m Wendy Packer, This works.